WIN A bumper AM goodybag jam packed with fantastic tackle! 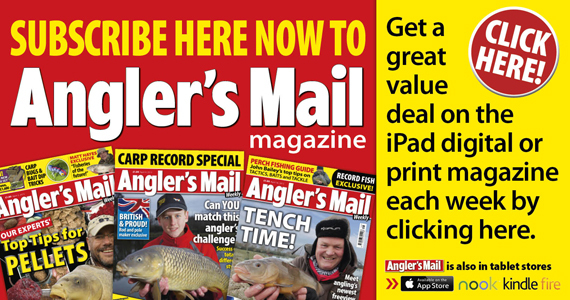 THIS weekend we’re offering up a fantastic bumper goody bag to one lucky Angler’s Mail fan. Our team have got together and compiled a bundle of top items including AM t-shirts, five of our favourite fishing books plus plenty of brilliant tackle! Michael Kennedy was announced in this week’s issue of Angler’s Mail as our new Specimen Cup winner – bagging himself a cool £3000! But what species of fish netted him the big prize? Congratulations to Steve Rider, from Leeds. Get flicking through your issue and good luck! A winner will be drawn Tuesday at 10am.